“VR Editor” released as standard feature of STYLY, which allows the user to edit a space from various viewing points such as first-person or bird’s-eye. 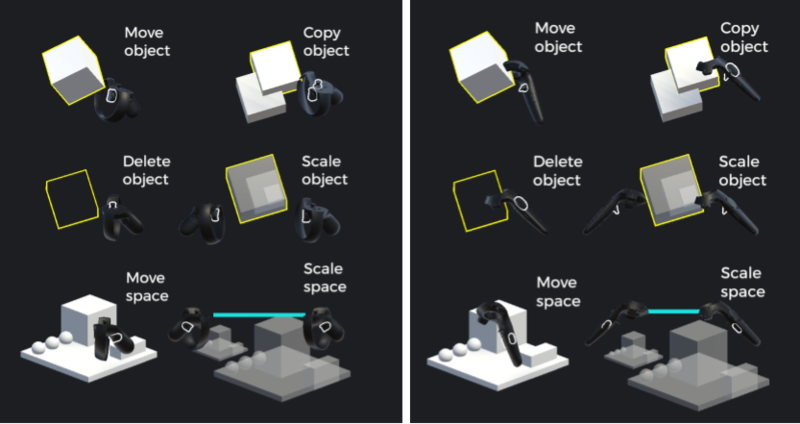 This new function allows you to scale down the space itself and edit it like playing with a sandbox from bird’s-eye view, as well as you can move, scale, copy and delete the assets in VR space. 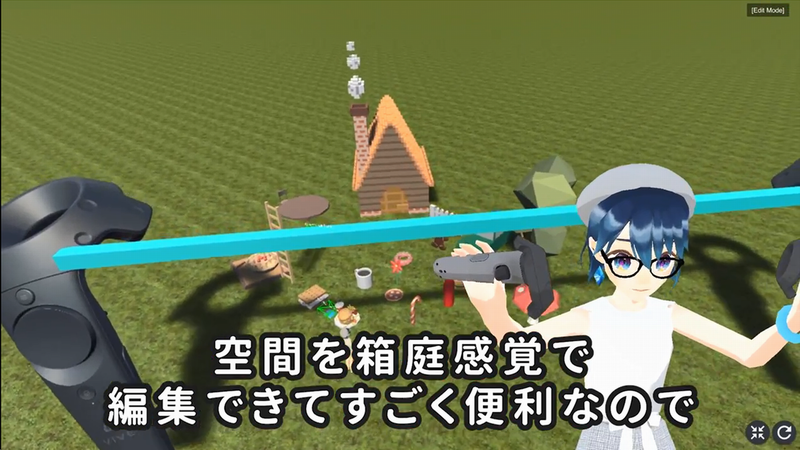 It solves the problems at VR-space design such as 3D-specific difficulty to grasp the perspective or mistaken impression of the size by first-person view. So it now provides more intuitive operation. For those who have not created STYLY account, refer to this article to register. Import the required asset to new or existing space. Refer to this article for the details. Download STYLY Steam application and launch it. Open My Scenes and click the pencil icon at the bottom-right corner of the thumbnail of the target space. Alternatively, you can open the menu in VR space and click the “Edit in VR” button. STYLY VR Editor will be launched. You can hold an asset by touching it with the controller and pulling the trigger. So now you can just move it to the target. Keeping asset held by the controller, you can copy an asset by clicking the touchpad. To delete an asset, touch it by the controller and click the touchpad. Once you hold an asset, you can scale up and down it by spreading and narrowing arms with the trigger of the other controller pulled. You can scale up and down a space by spreading and narrowing arms with the grip buttons of both controllers held down. You can rotate a space by moving both hands back and forth with the grip buttons of both controllers held down.